HOV 3 is now in effect. HOV stands for High Occupancy Vehicles, which is the term used for carpool vehicles. HOV 3 means a carpool with a driver, plus two passengers. 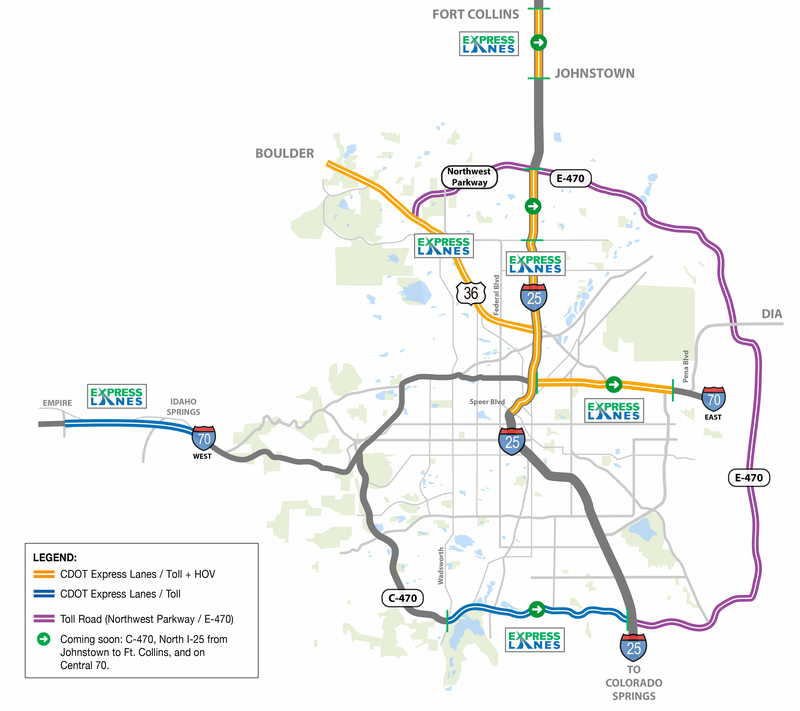 In February 2013, the Colorado Department of Transportation (CDOT) Commission and Denver Regional Council of Governments (DRCOG) passed a resolution that all CDOT HOV Express Lanes would change from HOV 2 to HOV 3 on Jan. 1, 2017. Switchable HOV passes are now available for free to drivers who travel on the I-25 and US 36 Express Lanes, and plan to only use those passes for carpooling! Previously, the transponders cost $15 for all drivers, but CDOT and HPTE made the change to make carpooling easier for those who are dedicated to that mode of travel. Drivers who receive the free pass must drive in HOV mode at least once in the first six months after receiving it to remain an HOV-Only account. Drivers who do not use the free pass within six months, or who use the pass in toll mode or on a tolled facility will be charged the cost of the switchable HOV pass. HOV-Only drivers must have a driver and at least two passengers to use the Express Lanes for free under the HOV 3+ rule. Contact ExpressToll online or 303-537-3470. Colorado has passed the point where it can build its way out of congestion. With the state's population exploding and transportation funding decreasing, CDOT and the High Performance Transportation Enterprise (HPTE) must look at innovative ways to move traffic across the state. Express Lanes, which are being built throughout the state, help relieve congestion without the need for a lot of infrastructure (new or widened highways) and provide a desperately needed source of funding for transportation. HOV 3 ensures that those lanes remain free-flowing now and into the future, so that those who choose to ride the bus, pay a toll, or carpool always have a reliable and faster trip. In addition, getting more people into carpools with HOV 3 reduces overall congestion and vehicle emissions—a good thing for a state with a growing population. Use the general purpose lanes. Free general purpose lanes always exist alongside CDOT's Express Lanes. Drivers benefit from less congestion in those lanes because of the traffic that diverts to the Express Lanes. Ride the bus. RTD has many options for a fast commute, including bus rapid transit (BRT) along the US 36 corridor. Visit the RTD website to explore your options. Pay a toll. 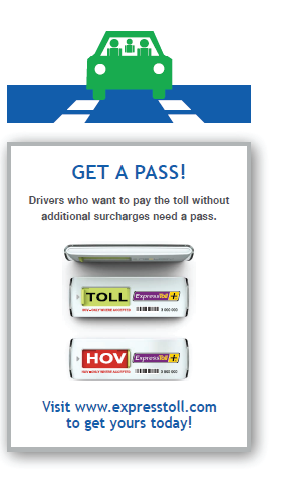 Go to expresstoll.com to get a pass, and pay lower tolls for a quick-and-easy trip. Find an additional friend and carpool. CDOT and HPTE will be providing free HOV switchable transponders to those who wish to exclusively carpool. Get yours at expresstoll.com. Online at Expresstoll.com, or call 303-537-3470. $35 balance to open a new account; accounts can have multiple vehicles and/or motorcycles on them. HOV Purists can set up for free.